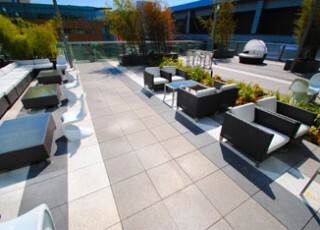 Commercial, residential, and other types of buildings can be made more stunning with the use of concrete pavers. The following are the benefits of using concrete pavers. Building owners can choose from a wide variety of concrete pavers in terms of color, texture, and shape all having the look of authentic stone. Therefore, there is big room for creativity and style that is fit for a certain building. Another very good advantage of these pavers is that they can be installed, removed, and re-installed with ease. Pavers interlock together forming a patterned surface that can be put into service instantaneously. And since they can be removed and re-installed without much difficulty, future service interruptions are reduced. The Interlocking Concrete Pavement Institute (ICPI) requires all paver manufacturing companies to comply with the standard of ASTM C936. Interlocking concrete pavers meet this standard. They are manufactured with the most modern facilities to meet the highest standards. This goes along with how a contractor would construct the base of a pavement. Tile Tech Pavers insists upon an authorized contractor to meet the state’s standards in terms of aggregate material. The bedding sand should meet the terms of ASTM C33 or ASTM C144. In addition, the authorized contractor who will install the pavers must be sufficiently trained in using the appropriate materials and in constructing the pavement in accordance to ICPI’s guidelines and recommendations. With its compliance to high standards, concrete pavers are extremely durable. They are manufactured using crushed stone, specific sands, cement, water and fast pigments that provide most of the color. Also, they have a very dense structure that reduces the amount of moisture that can penetrate and damage the paver during freeze cycles. Furthermore, the joint spaces of the pavers are filled with sand to provide a vertical interlock between pavers and to allow the pavement to work as a tough but flexible mat. Most of the concrete pavers are manufactured with a beveled edge around its top part. This is to ensure that there would be no tripping hazard especially when a paver happens to be slightly lower or higher than the others. It also reduces the possibility of chipping of the paver’s edge. Moreover, the pavers’ surface is somewhat coarse to the touch. This texture provides a safe non-slip driving or walking surface even when it is wet. The concept of interlocking concrete pavers dates back to the roads of the Roman Empire. They were constructed with tightly fitted paving units set on a compacted aggregate base. The modern version, concrete pavers, is manufactured in a wide array of colors, shapes and textures all with the look of authentic stone. Pavers interlock together to form a patterned surface which can be put into service immediately. A big benefit of pavers is that they can be removed and re-installed, which reduces future service interruptions. The use of concrete pavers is growing rapidly on both commercial and residential construction projects.The use of concrete pavers is expanding rapidly. In Europe there are 100 square feet of pavers installed per person annually, in the United States it is only 1 square foot per person. The Interlocking Concrete Pavement Institute (ICPI) annual survey that confirms continued growth of concrete pavers in North America for 2004 estimated total sales for North America at $710 million. This is divided into approximately $630 million for the United States and $80 million for Canada. Comparing results from a similar survey last year by ICPI, the amount sold represents a 15.4 percent increase from 2003 to 2004. Since the survey’s inception in 1999, the North American concrete paver market has more than doubled. As with previous surveys, the residential market was the largest, accounting for 77 percent of concrete paver sales in 2004. The second largest market was commercial at 16.5 percent, followed by municipal at 6.0 percent. The industrial/port/airport market accounted for the smallest portion, representing 0.5 percent of all paver sales. We manufacture our interlocking concrete pavers in the most modern facilities to the highest standards. The exacting requirement is ASTM C936 which is the same standard which all commercial and industrial interlocking concrete pavers must meet.The Interlocking Concrete Pavement Institute certifies that all pavers comply with ASTM C936. We insist that the material used by an Authorized Contractor to construct the base of your pavement must meet the standards of your state governing graded aggregate material. The bedding sand must comply with ASTM C33 or ASTM C144. The Authorized Contractor who installs your pavers should have training to use the proper materials and to construct your pavement using the guidelines and recommendations of the Interlocking Concrete Pavement Institute. Our interlocking concrete pavers used are extremely durable. We manufacture our pavers using specific sands, crushed stone, cement, water and color fast pigments which provide most of the color. A computer operated machine, especially designed for the purpose, forms the concrete mixture into the varous shapes and. We manufacture most of our pavers with a beveled edge around the top of the paver. The bevel, or chamfer, ensures that there is no tripping hazard if a paver happens to be slightly higher or lower than its neighbors. The chamfer also reduces the chance for chipping of the paver edge. You will notice that the surface of our paver is slightly coarse to the touch. This texture is to provide a safe non-slip walking or driving surface even when wet. The very dense structure of the paver minimizes the amount of moisture which can penetrate and cause damage during freeze cycles. The pavers are placed in a sand setting bed surrounded by an edge restraint which keeps the desired uniform joint spaces between concrete pavers and prevents the edge pavers from moving outward. The sand used to fill the joint spaces provides vertical interlock between pavers and allows the pavement to behave as a strong but flexible mat.